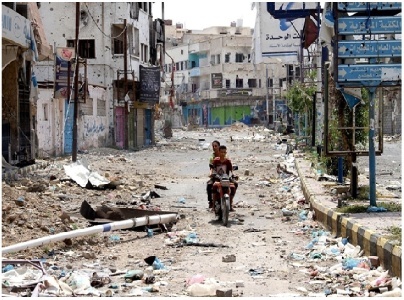 Since the outbreak of the current war in Taiz governorate, the microfinance sector has been severely affected in Taiz governorate bringing the Al-Awael Microfinance Company as the worst affected by due to the presence of all its branches in this governorate. The SFD team has been on constant communication with the Company's emergency team to consult about the Company's challenges in order to provide the SFD's advice on how to solve problems and meet the administrative and technical challenges arising from the war's impact and from the inexperience of the new staff's . In recognition of the very bad conditions the company has experienced during the last period of the war, the company has benefited from the SFD's exemption from the Company's interest amounts accrued for SFD for the years of crisis 2015 and 2016. SFD also provided emergency technical support to build the capacity of the Financial Manager who is the Acting Executive Director, on Financial Analysis Structure (C) after being appointed to the Company during the emergency conditions. By the end of 2015, SFD transferred the Company's database to the SFD's branch in Ibb City for being a safe place. In addition, SFD offered the Company to allocate a safe place to secure the Company's important documents, and this is also still among the internal consultations of the Company's management that have not been decided. The Company's administrative board is discussing the SFD's proposal to support the relocation of its headquarters to Ibb, a city adjacent to Taiz, to enable the Company's staff to operate in a risk-free and predictable environment. The SFD engineer established and operated a temporary information server for the Company's headquarters building and two branches in Al-Hawban area for the purpose of continuing its work. The Company's data were manually recorded during the last two years due to power issues, so the SFD team also entered the data to the computerized-aided program.